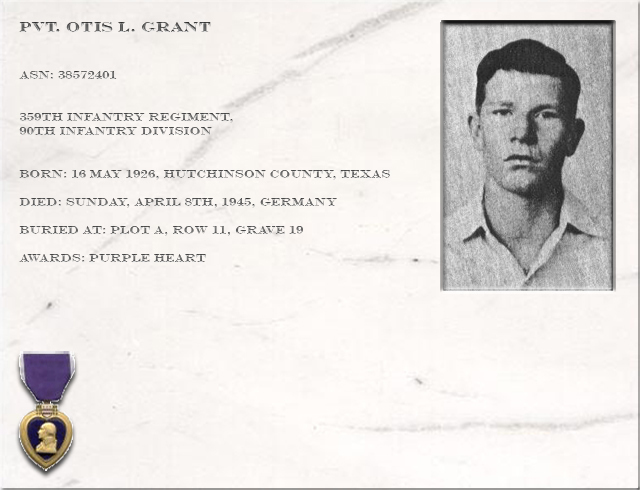 Otis Grant was a former Borger High School Student who voluntarily entered the Infantry on 5 September 1944. 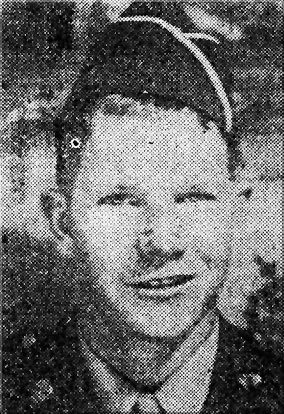 He went overseas 15 January 1945. 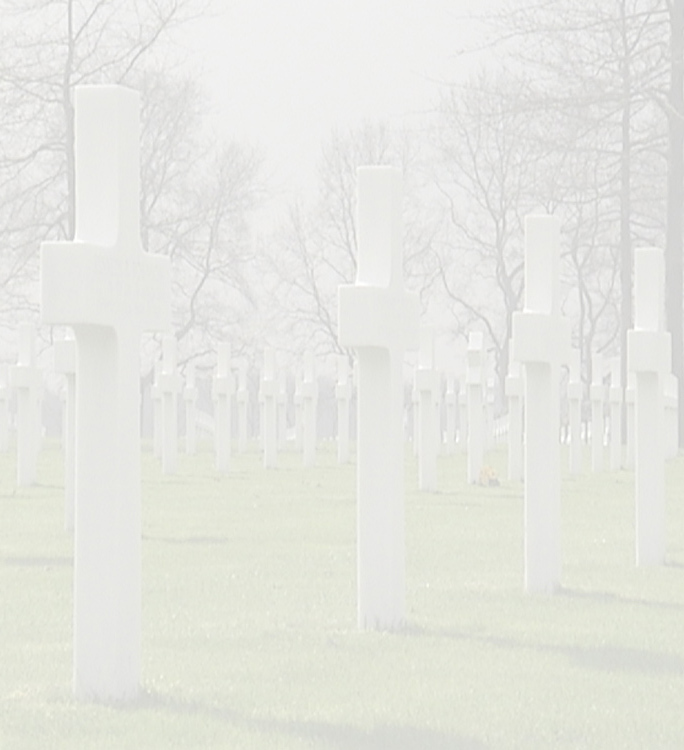 Prior to entering the service he worked for Huber Corporation. He was serving in Germany with the 3rd Army at the time the unit captured the “gold store” of Germany. Pvt. 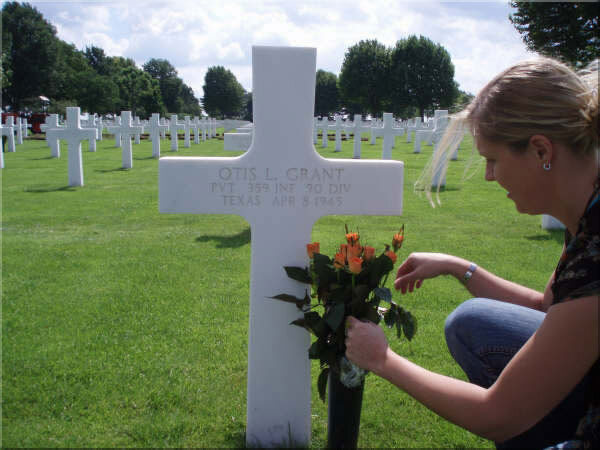 Grant was in the 90th Infantry Division, 359th Infantry Regiment when he met his untimely death just 30 days before the Victory in Europe. 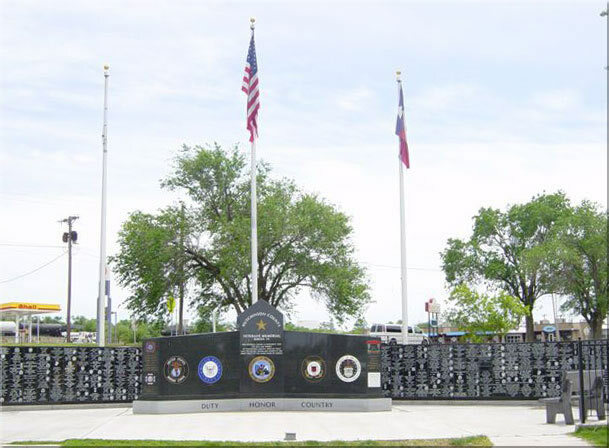 The 90th Infantry was made up of a group of men from Texas and Oklahoma. They wore a red patch on their shoulder with T0 which came be know to mean “Tough Ombre”. Otis was born on 16 May 1926 in Armstrong County to parents Otis Henry and Delly Belle (Leathers) Grant. Otis was the third child of six Grant children. Stearling was the oldest Donald was second and Otis third. In the late 1920’s the Grant family moved to Borger in the northern Texas Panhandle. The Grant’s had three more children William “Dutch”, Minnie Jean and Melvin. Of the six only two survive him Stealing and Melvin. 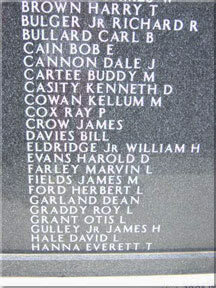 Otis L. Grant’s name is memorialized on the Memorial in our own Huber Park as well as the Panhandle Memorial in Amarillo.